Hi! I’m Sean. I’ve been training people and dogs in Seattle for the last decade and a half. My main focus when working with clients every week in one-on-one, private lessons is to help people learn to get their dogs to a functional level so that they can actually enjoy spending time every day with their dog instead of stressing about their dog’s behavior issues. I take cues from how dogs interact socially with one another. I have what I call a “naturalistic bias” in training. That is, I don’t use food as a primary training tool for dogs over 7 months old. Though I was originally was trained in food-based training in the 90s, I’ve shifted away from that style of training. The shortest way I often describe why I train this way now is that I look at how dogs interact with other dogs. For example, if your dog ran up into the hills and found a real pack of dogs to live with, they wouldn’t train your dog into the “rules” of their pack by flipping him food treats. They would instead interact socially with your dog to show what they like and don’t like. That being said, I’m not a “never use food in training” sort of trainer either (for example, I use food as a primary training tool with young pups all the time). If food helps in certain situations to get reliable long-term results, then great! Keeping an experimental mind-set with a focus on results. To me, dog training is just an ongoing experiment in getting results and my focus is always on what gets clients and their dogs to achieve functional results and ultimately enjoy their lives with each other more. Besides my one-on-one training sessions with clients, I train the foster families with P.U.P rescue here in Washington State, train trainers in my apprenticeship program, as well as teach seminars with dog owners, dog industry related staffs and trainers. How Did I Get Into Training? My interest in dog training and behavior started in much the same way yours did probably. I got a dog that had some issues. In the early 1990s I got a breed of dog called a Rottweiler. I was a little taken by surprise as she grew up to be a 104-pound, strong, protective, dog; I didn’t really do much breed research (yes, I was one of those clients that trainers always shake their head at!) I signed up for some obedience classes and found that they weren’t that effective for my dog. My ongoing research and training after that ultimately lead to me pursuing training as a career. Why Did I Create The Blog, Podcast, & Video Course? A Lower Cost Option for Folks: There were many people who, after having an initial phone conversation with me, really wanted to train with me, but told me that they didn’t have the hundreds of dollars it takes to do private lessons. I created the video course for them so they would have a lower-cost-option that would still get them the step-by-step lessons that we go through in person. To Add to Long-Distance Phone Consultations: I do phone consultations with clients who are from out of town. I would sometimes do quick video segments for those clients so they could see what I was describing to them over the phone. The video course gives them a great comprehensive video companion to any phone consultations that I do. As a Reference Tool for In Person Clients: Almost all of my clients tell me that, at the end of a lesson, there is a ton of information to remember in terms of theory, philosophy, step-by-step instructions for homework. Many clients get the video course as a reference so they can review lessons and absorb more information during their homework time. Based on that input, I created The Dog’s Way Video Training Course. The feedback has been great on that course and we’re currently working on the Puppy video course. 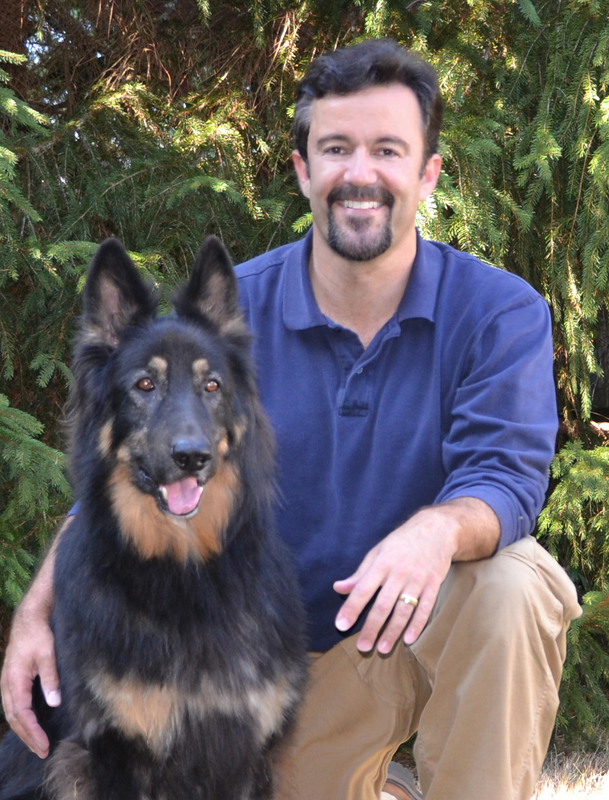 If you have questions about dog training, you can always email me directly, sean@thedogsway.com or you can leave a message with our call-in line for the PODCAST 1(844) 364-7929 and I may even play your call on a future podcast and answer you that way. If logistics happen to work out, and you’d like to work with me personally, you can call me for in-person lessons, a phone consultation, or to do a seminar for your group. There’s more information on working with me in person here. I look forward to hearing from you.